Italy has the second-highest public debt-to-GDP ratio in the European Union at 132%, or €2.1 trillion. It has been stabilized at this level for the last few years via an austerity budget plan combined with massive purchases at distorted prices of Italian sovereigns bonds. The ECB effectively owns the Italian government bond market. An Italian debt default would mean lights out for the EU. A major part of Italy’s “austerity” plan is the privatization of local services. Indeed, the current head of the ECB, Mario Draghi, specialized in government privatization during his tenure at Goldman Sachs. It’s no accident that Draghi is where he is, as the plan of the Cabal is to foreclosure on choice assets. The Italian government sold its minority stake of Poste Italiane stock in 2014 to pause the debt trajectory and buy a little time. The other target of austerity pushers are the pensions of the elderly. Italy has implemented an incremental increase in the retirement age from 65 to 67 by 2026. 37% of Italian youth are unemployed. Over the weekend of June 24-25, the ECB, together with the Italian government, ordered two zombie banks, Banca Popolare di Vicenza and Veneto Banca, to be liquidated. The Italian government decided to commit €17 billion in taxpayer funds to bail out senior bondholders and depositors. There are dozens of institutions in similar shape as Banca Popolare di Vicenza and Veneto Banca. Taxpayers are already on the hook for a banking crisis that was caused by years of reckless and, in some cases, criminal mismanagement. Now, the ECB’s decision to wind down two banks in an orderly manner may end up triggering the disorderly failure of others. Meanwhile, boats full of African invaders docked in Italy this week. The first video below shows a huge ship bringing them in. The African invaders are getting organized with their demands, too. The next video shows loud protests in a tranquil Italian town where migrants are demanding an increase in welfare payments from €500 to €2,000 (US$2,300). 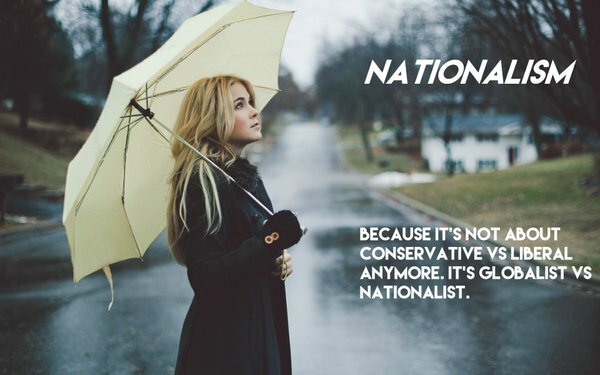 If The New Nationalist (TNN) didn’t know any better, we would think this is all by design and organized with malice. The last video shows the streets of late in the eternal city of Rome. I have no doubt that within the next year tourism to Europe will collapse as it is rapidly becoming anarchic. I’m glad I got to enjoy it when it was still engaging. Such a shame. This article was removed within five minutes of posting at r/italy. No wonder they are going down the toilet. Ciao clovize, abbiamo rimosso il tuo thread. Hey clovize, your submission has been removed.